Whether you are just beginning in your Excel learning, or you have some skills and consider yourself as the expertise in Excel, there are a some advanced excel skills that you should think about Excel. Nowadays, many jobs require the advanced Excel skills. Besides, you might wonder if you will be sufficiently performing the Excel tasks the company expects from you. In this article, we have compiled the essential advanced excel skills you need to know about Microsoft Excel. It also includes some of the best tips that can consider of to get you began as a beginner. And it will make you more productive as an experienced user. It should enable you to get an idea of where you feel confident. You can start learning excel today with the advanced Excel course to ensure you are well versed in Microsoft Excel. IF: Provides an output based on whether a condition is true or false for a provided cell. Where the IF function begins to come in handy is when it is nested within a larger formula. An example you will come across fairly regularly is a chain of IF functions that efficiently create an algorithm. OR and AND: It is frequently used as components of a more substantial formula. The OR and AND functions discover the truth or falseness of any defined condition or all specified conditions, respectively. The searches a column within a range for a user-defined input and delivers a similar value from another defined column in that field. The searches rows in a range for a user-defined input and delivers a similar value for a defined row. It transfers the VLookup method but will have several applications in daily use. Merges many values and strings and outputs them to a text string. Extracts a substring from a defined string. The user determines the starting and position and number of characters to extract. This function can be handy within larger formulas for data processing. It is not a complete list by any means. However, exploring these functions and using them to problems will give you an excellent understanding of how to utilize the functions in Excel. To get expertise with Microsoft Excel, you need to use output value to a single cell for most of the functions. Despite, there is another set of advanced functions that work on a whole range. A transpose function is one of the most used functions in Excel. It also enables you to switch the axes for your data so that the rows become the columns and vice versa. If you have learned the basics of Microsoft Excel, you will understand how to apply filters to your tables. Inside those filters, you have advanced filtering choices to slice and dice data virtually every way you require. If you are not comfortable with the basic application of filters in Excel, you might need to do Excel course. There are numerous cases in which you need to put parameters on the input a cell will accept. When you are making an Excel spreadsheet that a group will be doing, you will need to be familiar with the tools that assure version control. Usually going hand-in-hand with data validation, users can apply drop-down selection lists including the accepted inputs for a given cell. A basic understanding of macros in Microsoft Excel will enable any user to finish tasks more effectively. While in many cases, an employer might not mainly need this skill, utilizing macros can help you complete those tight turnaround reports without making mistakes or pulling all-nighters. Learning VBA will give you finish control over your macros so you can customize them to do complex tasks, even ones including different programs. However, if you are working on a team that depends on spreadsheets consistently, your insight into VBA could enable you to make a few upgrades and rapidly demonstrate your esteem. If you will be working with statistics in Microsoft Office Excel, there are specific tools designed to enable you to do the math. Also, since they will save you a lot of time vs. manual calculations, you will probably be relied upon to know the ones that apply to your work. Make sure you have that resource installed and get to know some of the functions of it. Making a report with data visualization (e.g., graphs and charts) is a capacity you learn at a fundamental level in a basic excel course. Despite, the tools you need to work with for this reason are robust and deserve particular attention if you create organization reports. You should consider taking a course in making Excel dashboards that look great and convey in the data analysis. The Microsoft Excel features incorporated here should give you a feel for what an advanced user can do with the program. However, there is still more to name a few; you might want to learn pivot tables, referencing data between sheets, financial modeling functions and workbooks. 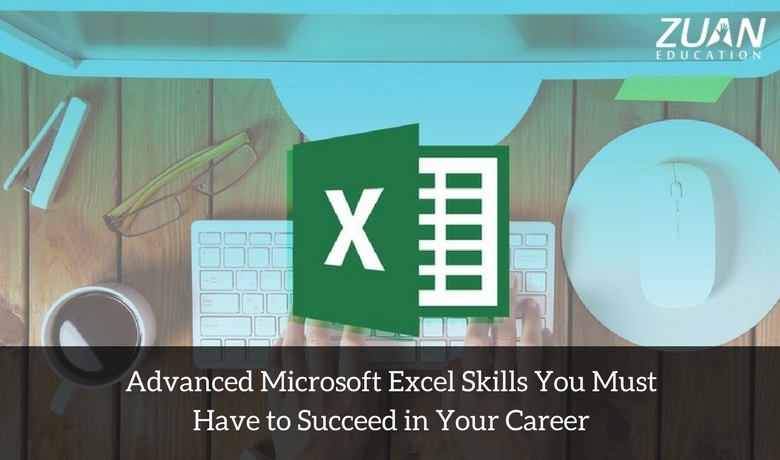 However, these essential advanced Excel skills for you to learn that will enhance the way you use Microsoft Excel and make you more proficient. Consider how comfortable you are with all of these features and try out some of the useful resources for getting to know the ones that will take your abilities to the next level. Very nice! Excel has been a great mystery box for me and when everytime I explore using it, I learn new formulas. So it is a non-ending learning and gaining Microsoft Excel skills is a must these days.